In the short-term “low trust” public companies can be very profitable. Corporate executives who “legally” cheat, steal, avoiding paying taxes, and stay just to the “right” of compliance may produce the profits that both their “old school” Board and short-term oriented shareholders crave, but these “business as usual” trust violations are not conducive to long-term business success. A growing number of companies are replacing the “stuck in the 80s leadership model” with proactive business executives who acknowledge that long-term success is built by embracing trust as both a strategic advantage and intentional business strategy. This translates to practicing “trust” on a daily basis by building a trustworthy and responsible corporate culture, treating customers and suppliers “right”, by having superior products, great service, a well-configured Board, low employee turnover, and a high degree of innovation. Now in its 9th year, our proprietary FACTS® Framework measures the trust “worthiness” of America’s largest public companies (over 2000). The following are some of the “fast facts” drawn from our larger study. 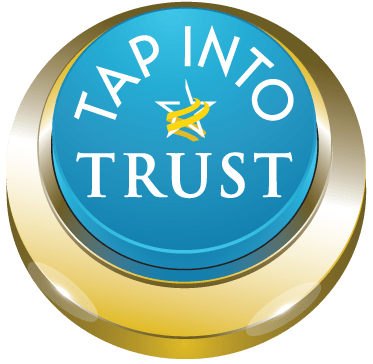 Since 2012 Trust Across America has selected and publicly published an annual list of “Top Ten” Most Trustworthy Public Companies. Had you invested in those 10 companies on the day of publication, your portfolio would have significantly outperformed the S&P 500. FACTS data can be sorted by sector and the following chart represents the sector rankings for the Russell 1000 for 2018. Please keep in mind that the Framework uses a broad 16-sector model provided by Zacks Investment Research. Others like S&P and Morningstar sometimes place companies in different sectors. For example, Zacks financial sector includes banks, insurance companies, REITS and brokerage firms, to name just a few. And it’s also important to remember that industry is NOT destiny. The data can also rank companies within sectors, by market cap and headquarter location, to name just a few. We can also perform company comparisons. High correlation between our FACTS rankings and percentage of women on boards as reported by Catalyst. High correlation between our FACTS rankings and Governance & Accountability Institute’s companies that voluntarily report on sustainability. These studies and many others, confirm that the best companies are more responsible, and they dedicate the necessary resources for continuous improvement. Our FACTS Framework and rankings are being licensed in a variety of formats. Read more about the Framework at this link. Email Barbara@trustacrossamerica.com for more information. Copyright© 2018, Next Decade, Inc.